The Rush is Wilson's ultra lightweight performance shoe, inspired by its big brother, the Rush Pro. It features 2D-F.s technology in the forefoot for a secure, supportive fit, and Endofit construction for added cushioning and stability. This shoe is all about being lightweight with a low-to-the-ground feel that can withstand tough pounding and give you support when you need it the most. Fit: Length fits true to size. Width is medium. 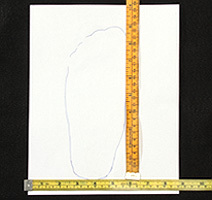 Arch support is slightly lower than average. No break-in required. Upper: Blend of synthetic leather and mesh, fortified by 2D-F.s technology in the forefoot and Endofit construction for added comfort, cushioning, and support. Midsole: A dynamic heel/toe drop of 9 mm offers excellent court feel and quick response. R-dst in the heel and forefoot provides even more cushioning and rebound of the court surface. Outsole: New all court Duralast outsole for durability and traction on all surfaces. 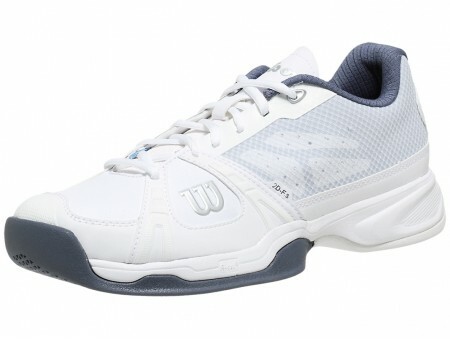 The Wilson Rush White/Grey Men's Tennis Shoe is now available online at our iTennis Tennis Store.